It’s unarguably the case that 2017 should be noted in history as The Year Of Idris Elba. Some might characterize it as an accident of scheduling, others might view it as a mere twist of fate – but the fact remains that by the end of the year, the London-born actor will have had no less than four feature films in theatres, in addition to starring in a 6-episode television miniseries and lining up his directorial debut. And that’s all in the space of 12 months. If nothing else, you can’t deny that Idris Elba is one of the hardest working actors in Hollywood at the moment. Of course, Marvel fans will know him as Heimdall – the omniscient guardian sentry of Asgard – who first appeared in 2011’s Thor. The character is an integral part of the God of Thunder’s story within the Marvel Cinematic Universe and as such, has featured in Thor: The Dark World, Avengers: Age Of Ultron and the upcoming Thor: Ragnarok. But what comes after that? Well, if Elba has his way, he might just move into a more prominent role, one that could see him playing a major hero. While chatting to Entertainment Weekly to promote his new film The Mountain Between Us, the actor voiced his interest in portraying a bigger character in the Marvel Universe. 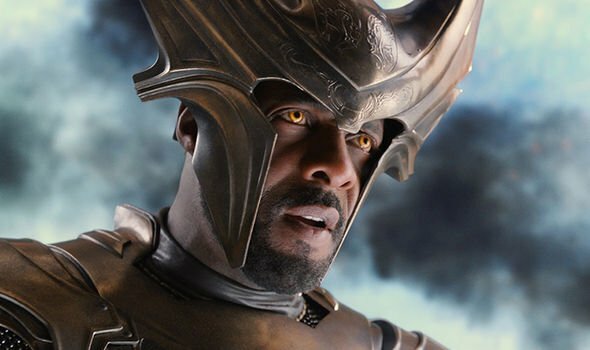 Now, given Elba’s role as Heimdall, it’s highly unlikely that he could appear as another person in the MCU. However, that doesn’t mean he can’t show up in any Marvel-related parts. Perhaps he can find a role in Sony’s new Venom universe, or he could head on over to Fox and join their X-Men franchise? Or maybe even whatever they do next with the Fantastic Four? Really, there are a ton of possibilities when it comes to who else Elba could play and with his star seriously on the rise at the moment, we wouldn’t be at all surprised to see him get a more sizeable comic book movie role in the near future.